The economy is entering a period of recovery, the sun is beginning to make an appearance and the world cup we've all been waiting for is under way. So, what better time to step back and tackle the pesky challenge of youth unemployment which still isn’t where any of us want it to be. Last week youth unemployment, which covers 16-24 year olds, fell again to 853,000. It’s high, too high, but it is falling. Yet there is a much wider issue here that’s persisted since well before youth unemployment reached its most recent and heady heights during the economic crisis. This is not the figure of youth unemployment, but the gap between this and rates of employment for the over 25’s. Young people in the UK are nearly four times more likely to be unemployed than adults. Internationally, the UK is fairly average in terms of youth unemployment, but when we look at the rate of youth to adult unemployment we’re lagging far behind. In fact, our ratio is one of the worst in Europe. It’s not all doom and gloom, youth unemployment has been wavering far too close to the one million mark for long enough now, and we can all breathe a sigh of relief that the figure is falling. The key message here is not to become complacent, because if we do, we fail to see the UK still hasn’t cracked that transition from education to the world of work. We know from our Employer Skills Survey – the largest of its kind in the world – that UK employers aren’t concerned about the literacy and numeracy skills of young people – in fact they’re pretty impressed. 59% of employers find 16 year old school leavers well prepared for work, and this rises to 83% for graduates. Our textbook, classroom learning is up to scratch; so what’s the issue? It’s the learning we get from places other than, and in addition to textbooks which prepares young people for the world of work. It’s the skills, knowledge and attitude that being part of a working environment teaches us. The skills which make good employees are easy enough to pick up once you’re given a chance. School and university taught me plenty - but working in my first job taught me that the knowledge, ideas and insights I’d gained through education aren’t something to be selfishly hoarded – they’re best when shared, developed and improved through collaboration. Feeling comfortable with teamwork, communication, and sharing my ideas are part of what helped me develop from good student, to good employee. My teachers taught me how to write coherently, and how to spell; but it was an internship that taught me how to condense a complex message into 140 characters. Next Tuesday (24th June) we'll be launching the latest in our series of youth employment reports, which take an in-depth look at the barriers young people face in finding jobs. Our latest report will look at how young people in the UK stack up against those in other countries, and highlights again the vital role experience plays in helping young people get into work. Today we want to hear what experience taught you, and the difference it made. 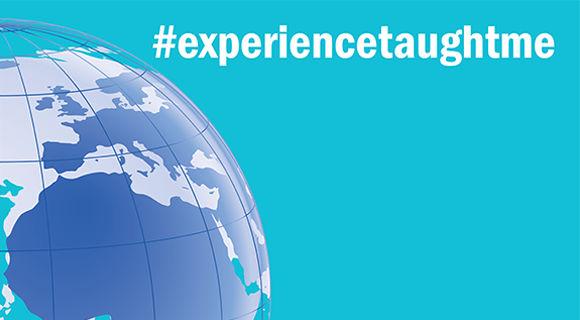 Join the conversation today and tell us what experience you've gained through work that didn't learn in the classroom - share your stories using #experiencetaughtme and follow @UKCES on Twitter for more.